There's a new version of Google Play Services rolling out, but isn't there always? Sometimes there are notable new features, and other times not. This time, the updated version includes a nifty extra for Nougat users in the form of a new quick settings tile for Nearby. Nearby is, of course, Google's platform for connecting devices that are in close proximity with a combination of Bluetooth and ultrasonic signals. The settings for this feature are somewhat buried in the Google menus, but now they're more easily accessible. 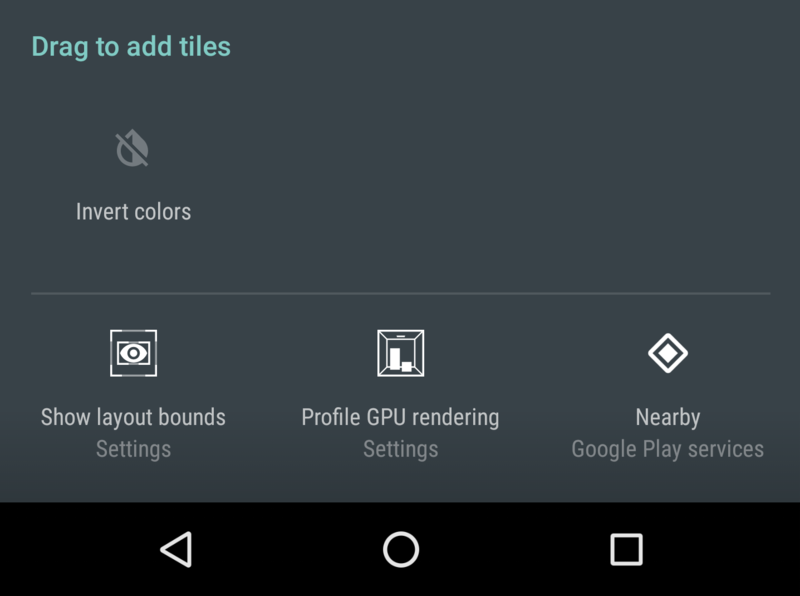 You'll have to enter the new quick settings edit mode on Nougat devices to add the Nearby tile. It doesn't appear to be a toggle on my device—it just links to the settings. However, that might be because I don't have any Nearby connections. You can play around with this if you've got Nougat and the new Play Services. You can download that on APK Mirror.